Currently viewing the category: "QualCraft"
Qual-Craft’s ladder hooks attach to a ladder and then hook over the ridge of a roof to provide a secure foothold on steeper-pitched roofs. 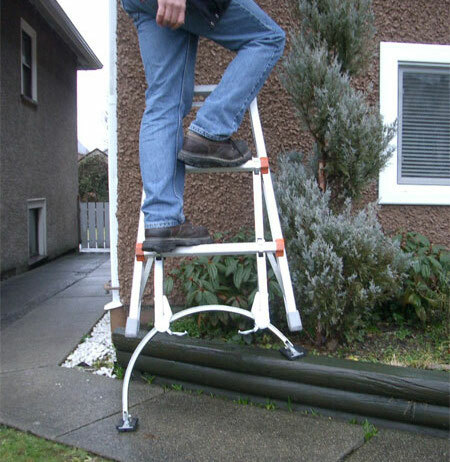 The pictured model also has a wheel which allows you to roll the ladder up the roof rather than slide it. The Ladder Hook hooks around the second-to-the-top rung; a rung clip which can be tightened with a wing nut secures it to the top rung. 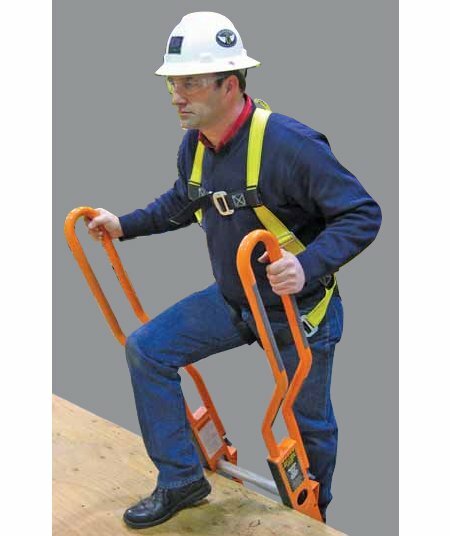 It’s adjustable and works with wood, fiberglass, and aluminum single or extension ladders with round or D-rungs. You’ll need two of these ladder hooks per ladder. QualCraft doesn’t recommend using their ladder hook on roofs with ridge vents. 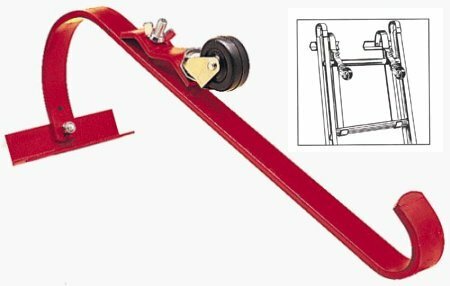 Pricing for the ladder hook with roller starts at $21 each, but remember you’re going to need two. Use Qual-Craft’s wall jack to raise walls and beams, or as a spreader to wrangle warped flooring or decking into place. Together with a straight-grained fir 2×4 that’s clear of knots and defects, it can lift up to 1,000 pounds — or you can use multiple jacks and 2x4s to lift heavier objects. 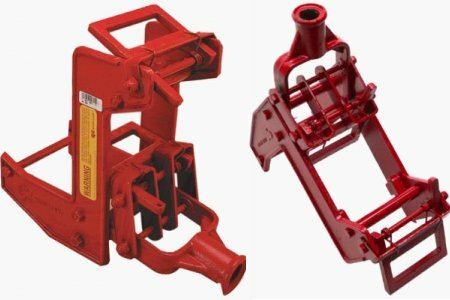 Qual-Craft constructs the 17-pound jack from heavy-duty malleable cast iron. The OSHA-compliant jack accepts 1″ OD pipe as a lever. Pricing for the wall jack starts at $140.